TECH MAHINDRA IS LOOKING FOR B.Sc.SCIENCE BACKGROUND 2016 PASSED OUTS. Branches C Physics, Chemistry, Mathematics, Computer Science, Information Technology, Electronics, Statistics, Computer Application. Max 1 year gap and 1 backlog is permissible in the entire academic career and that too only between any two courses. On joining candidates will undergo training for a period of 6 months approximately. Failure to complete this training successfully will result in termination of employment. Post successful completion of training, candidates is liable to posted in any of the operational locations of the companies. Modus of Selection: Cloud based Aptitude+ Essay Writing Test followed by Technical and HR evaluation and announcement of results with each stage acting as a filter. Candidate should be in college uniform or in presentable attire. 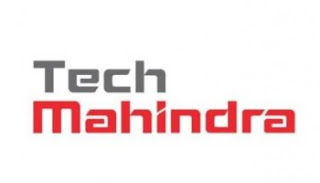 Tech Mahindra doesn’t charge any fee for Recruitment at any stage. Any such request by an agency / individual may please be brought to our notice immediately. INTERESTED STUDENTS CAN FILL THE FORM HERE. Last date to register in the link is 8th Feb 2016 before 5 PM.